Dove body wash get softer, smoother skin after just one shower and makes your skin smooth and soft. 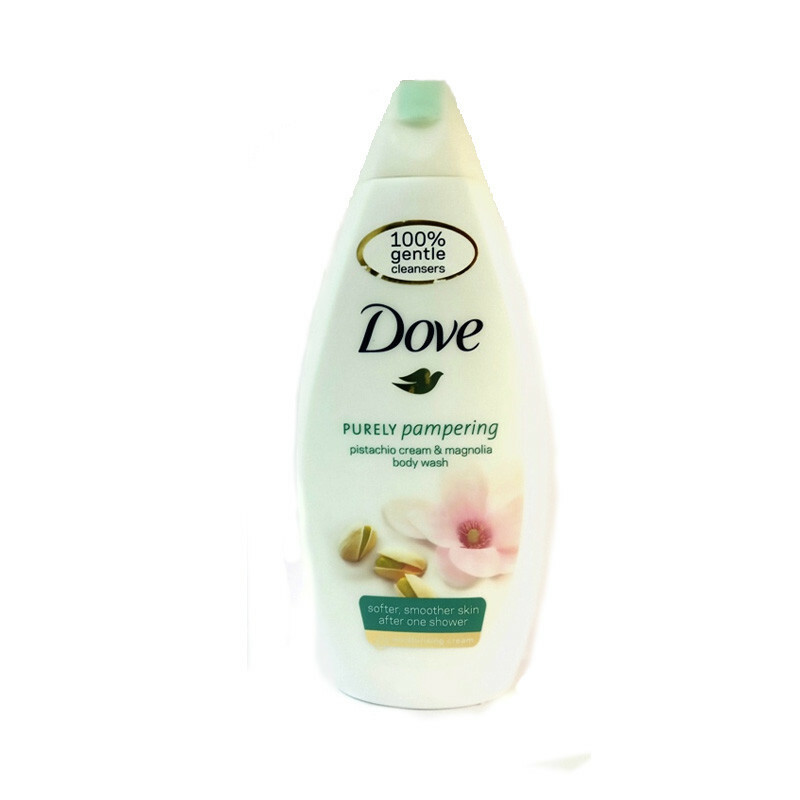 Dove Purely Pampering Pistachio Cream Body Wash creates a shower experience that nourishes and pampers and it helps gently wash away dead skin and gives you softer, smoother skin after just one shower.The Dove body wash you know and love, but with exfoliation, too. It cleans away dead skin cells and dirt, leaving skin smooth.Its nourishing and moisturizing ingredients make it the star product you need for beautiful, healthy-looking skin.